Under the Clients Tab you will find a list of all the clients that have visited your class in the past 2 years. 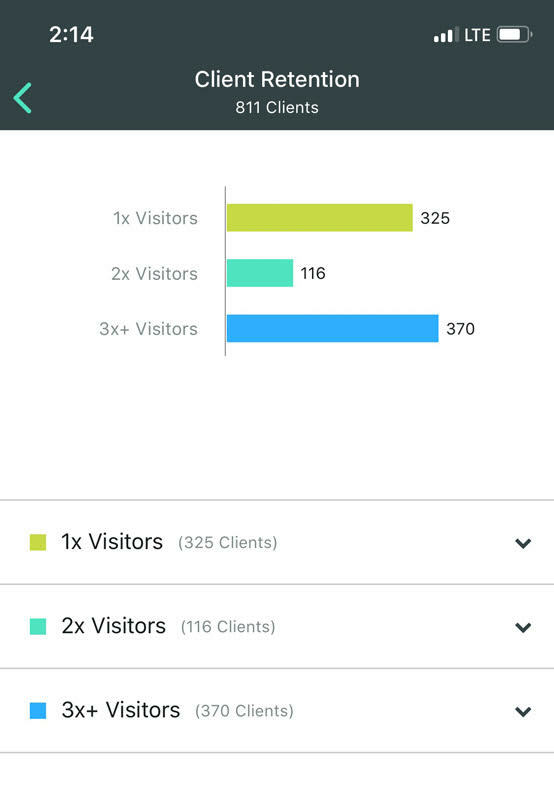 Toggle over to Client Stats to see a demographic breakdown of all these clients. You can click on Client Retention, Gender, or Age to see a detailed list of specific clients who fall under each of these categories.